Every workplace knows that having a great team of workmates leads to a more positive work experience for everyone and even higher productivity. Sometimes creating that team feeling can feel a bit challenging when personal or work stresses are high or staff changeover occurs. 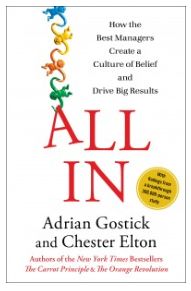 Adrian Gostick and Chester Elton, both employee engagement consultants, wrote a book entitled: “ALL IN: How the Best Managers Create a Culture of Belief and Drive Big Results”. The authors talk about E+E+E. The triple E’s stand for engaged, enabled and energized. Employee engagement refers to an employee attachment to the company and his/her willingness to put in the extra effort. Enabled refers to the company environment in terms of supporting the employee’s productivity and performance. Energized of course is the employee’s feeling of well-being and sense of drive. The research comes from the collection of data from 700 companies and confirmed their theory of high-performance business results from companies with high engagement scores. It makes sense that organizing a team building day outdoors could help to energize and re-fuel office minds. Getting to know your workmates in a friendly, fun environment and picking an activity where skill level varies (just as it does within the office environment) is a great way to build office moral and encourage teamwork. An office golf day is a great way to team build. Playing a Scramble allows for golfers and non-golfers to enjoy a day of outdoor fun together with a sport most are familiar with. In a scramble all team members tee off on each hole. As a team, the members decide on the best tee shot and then all players play their second shot from that spot. The best of the second shot is then determined and so on until the ball is put in the hole. A mix of golfer expertise is advised for each team usually consisting of 4 players. Food and beverages to follow with Team Building Awards is a great added touch to the day. Use Eventastic to organize a team building day that will help create the office buzz you are looking for prior to your event. So get started now in organizing your office team building day.